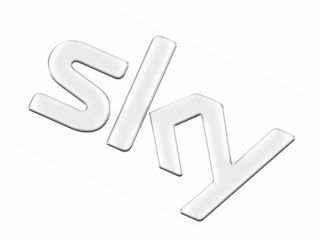 Sky is to improve its 3D content later this year by adding extra functionality to its 3D channel. Sky 3D is the first three-dimensional channel in the UK, but at the moment it is no more than a showreel for content which will be added to the channel at a later date. This is set to change this autumn, when extra full-length content will be added. To make sure those who are tuned into the channel are getting the best possible experience, Sky's Brian Lenz has announced that extra functionality will be added, including automatic switching between 2D and 3D. "We are going to change the software preferences later this year," explained Brian Lenz at the 3DTV World Forum in London, with TechRadar in attendance. "At the moment users have to press 3D on their TV remote to turn the TV into 3D. We will add a software update later this year which will automatically change the channel to 3D, it will then change to 2D when back in the EPG." When asked why Sky won't be offering a 3D electric programming guide, Lenz noted: "We are keeping it simple – there is no value in creating a 3D EPG for one channel. This may change at a later date, though." Lenz is hoping that Sky 3D TV will be as popular as its HD service, but knows that 3D's popularity in the home won't happen overnight. "Sky knows that 3D's success will be in the long term. And by success we mean repeating the take-up profiles of Sky +, HD and digital. "Success for us would be that in two to three years time that we can add another 3D channel, as that shows that consumer appetite continues to grow." When it comes to helping the 3D market improve in the UK, Lenz has ruled out any sort of subsidies to 3D TV manufacturers, despite its 3D content being worthless without a 3D TV. "Sky will not subsidise 3D TVs, as we have enough challenges with subsidising the kit that we make," explains Lenz. "If you look at 3D TV prices now to what HD was like the first time in the market, prices are already a lot lower." Sky has been ramping up its 3D coverage in pubs recently. Just last week, it showcased seven hours of live TV, showing the Championship play-off final, rugby Heineken Cup and Champions League Final back to back.